code of the commodity nomenclature, as well as the restrictions and responsibilities that depend on it. Self-preparation of the necessary documentation is not only a long time to hold the goods at the border, but also lead to the imposition of sanctions and liability (civil or criminal), due to inaccuracies and errors. Even large companies with significant experience in foreign trade, customs clearance outsource. This makes it possible to significantly improve the speed and reduce the risks that accompany the customs clearance. Documents required for customs clearance must be provided correctly filled and within the boundaries of designated time frame. 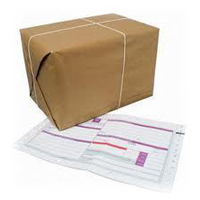 documents according to which is determined by the customs value (may be challenged by the authorized person of the customs service) and so forth. certification documents (origin of the goods, veterinary and phytosanitary certificates), etc. Other documents required for customs clearance of imports or exports, are served at the request of the customs services. All operating points that arise at customs can be provided only by professionals with extensive experience. The company "Association of Customs Brokers" will ensure that the documents required for customs clearance of export and import and other operations will be prepared and filed in the required amount in the stated period.